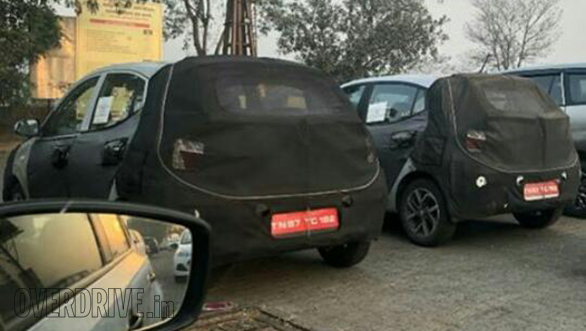 The soon expected next-generation Hyundai Grand i10 hatchback was once again spotted on test. Though heavily camouflaged, what gives away its identity is the shoulder line and the size of the hatchback. 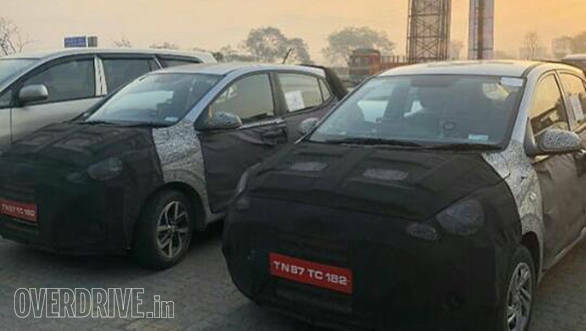 The hatch appears to be slightly larger than the Hyundai Santro, however, seems to be smaller than that of the dimensions of the Hyundai Elite i20. Initially launched in 2013, the Hyundai Grand i10 received a facelift and a new diesel engine. This time around we expect the Korean carmaker to heavily revise the platform. In terms of styling, the silhouette of the hatchback will remain the same, however, the car will carry a revised fascia and a restyled rear end. As a part of cosmetic updates, the Grand i10 will sport redesigned alloy wheels, newly designed tail lamp and headlamp assembly. Mechanically, the new hatchback is expected to carry the same drivetrain as the current one - 1.2-litre four-cylinder petrol and a 1.2-litre three-cylinder diesel. The former produces 83PS and 116Nm while the latter one produces 75PS and 190Nm. Although, the engines are expected to be revised to meet the upcoming emission regulations. Both the engines will be mated to a five-speed manual gearbox and the company could offer a choice of an AMT (automated manual transmission). The Hyundai Grand i10 competes against the Maruti Suzuki Swift, Volkswagen Polo and the recently launched Ford Figo. Expect the launch of the Hyundai Grand i10 in the second quarter of 2019 and the to be priced between Rs 5.20 lakh and Rs 7.80 lakh ex-showroom. 2020 Hyundai Sonata globally unveiled  India bound?